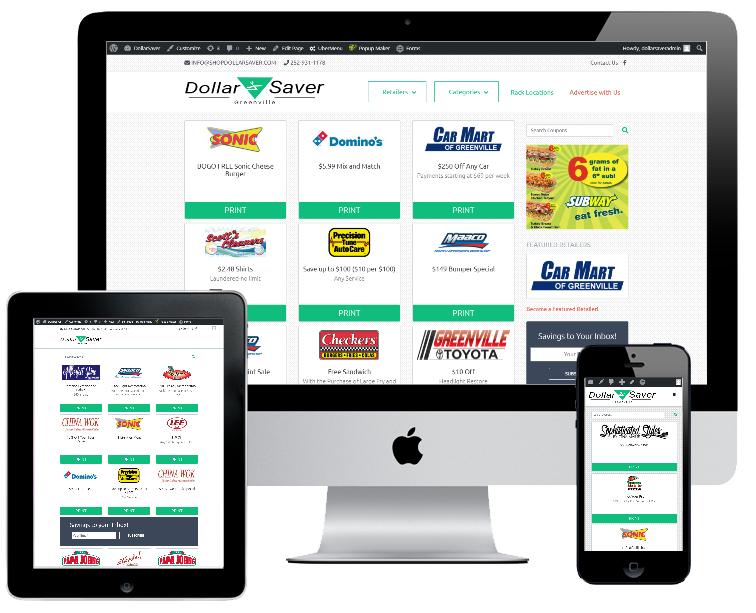 We developed a completely custom system for Dollar Saver magazine to replace their existing website. This new system provides Dollar Saver a platform for posting, managing, and organizing coupons and deals for their advertisers, partners, and affiliates. In addition to providing ad space and other features, the system is custom built to handle different types of coupons and deals: printable, coupon codes, and affiliate marketing links to maximize revenue opportunities for Dollar Saver.